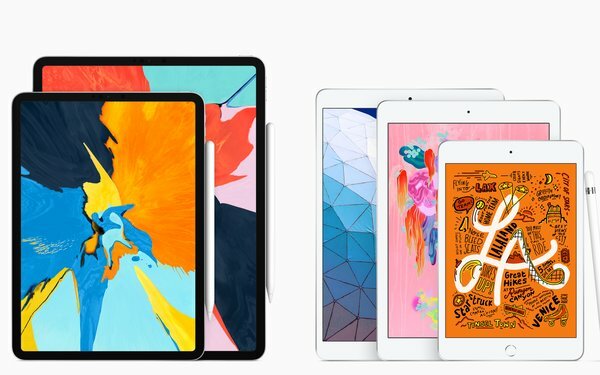 Apple on Monday introduced a new new 10.5-inch iPad Air and updated its iPad Mini, though the timing of the introduction is newsworthy in itself. That’s because by corporate tradition, Apple has a March event to announce new and updated products, and this year that event is still scheduled for March 25. Announcing the iPad products ahead of that date probably means Apple wants to use the entire March 25 presentation to unveil its new, often-rumored online TV service. That’s supposed to be a new entry rival to Netflix and Disney’s own new video service that’s also in the pipeline. Late last year, Apple marketing seemed to pivot toward services it provides over hardware it sells, in an acknowledgement that the smartphone and tablet markets are either saturated or increasingly threatened worldwide by less expensive Chinese and Korean rivals. Also, consumers may be far less enthused by phones and tablets. They’re old news. So unveiling the new iPads now leaves the later splashier Apple presentation to hype a brand new thing. The new iPadAir with a 10.5 inch screen offers the latest Apple bells and whistles. It supports the Apple Pencil, and with an A12 Bioninc chip and Neural Engine, the new version delivers a “70% boost in performance and twice the graphics capability,” according to the company. Also, Apple says the advanced Retina display is 20% larger than on the current iPadAir. Apple hasn’t done much to improve the 7.9-inch iPad Mini for more than three years, and in that time the growing size of smartphones made the Mini a likely candidate to fade away. The upgrade shows Apple thinks there’s a band of devoted users who still want it around. Juicing up the iPad line may not be so out of line with Apple’s planned video service. There have been rumors that Apple would offer the service free of charge to Apple users. More and better products could be an inducement.